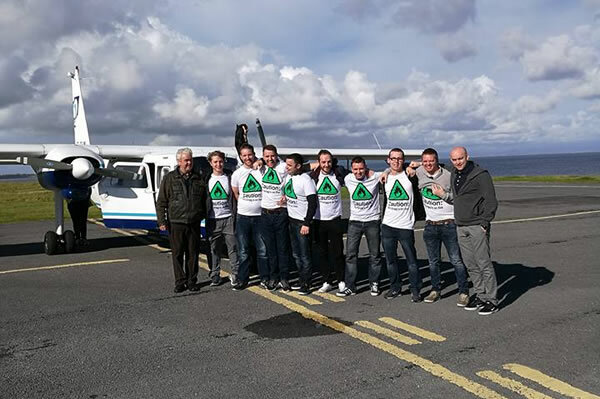 Galway is a great choice for a stag or Hen night/weekend but you can enhance the party by booking a Connemara Pub Tour or Aran Island Pub Tour. We can tailor-make an itinerary for your Stag or Hen that suits your arrival in Galway and your return to the city. What better way to keep the Stag and Hen happy than the scenic and atmospheric ambience of Connemara. Meet up with other fellow Stags and Hens, join in the banter with the locals, sing a few songs, tell a story or two, its all part of the Stag and Hen Connemara Pub Tour. If you wish to Push the Boat on it, why not book the Aran Islands where you can fly or sail or even better a combination of both! Visiting Inis Oirr, you will love this paradise island with friendly locals and visitors, excellent food and Inis Beer, a craft beer only available on the Aran Islands. Remember, The Connemara / Aran Pub Tour includes 4 x €5 Vouchers per person to spend in the pubs you will visit and that is bound to put a smile on all Stags and Hens in your party. Experience the Connemara Craic on your Hen or Stag Party. Beidh Fáilte Romhat! Connemara / Aran Pub Tours cost from €55/99 per person and include a €5 food and beverage vouchers for the 4 pubs we visit. Transportation, entertainment and entry discounts for a late night Galway city venue is included in the price! A great day out that’s easy on the pocket!